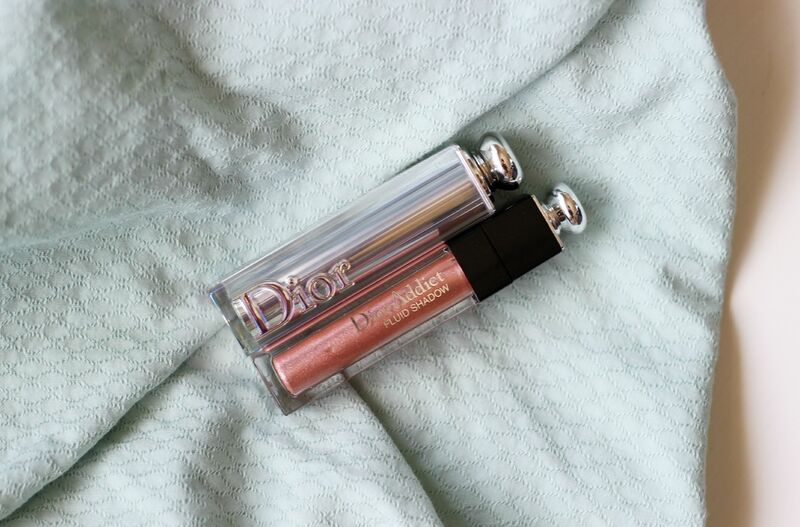 Two shiny new things from Dior, you say? The new bits are looking very pink – that’s OK, we’re embracing it. I picked up the Dior Addict Fluid eyeshadow in Aurora. Oh wow. So pretty and sheeny. 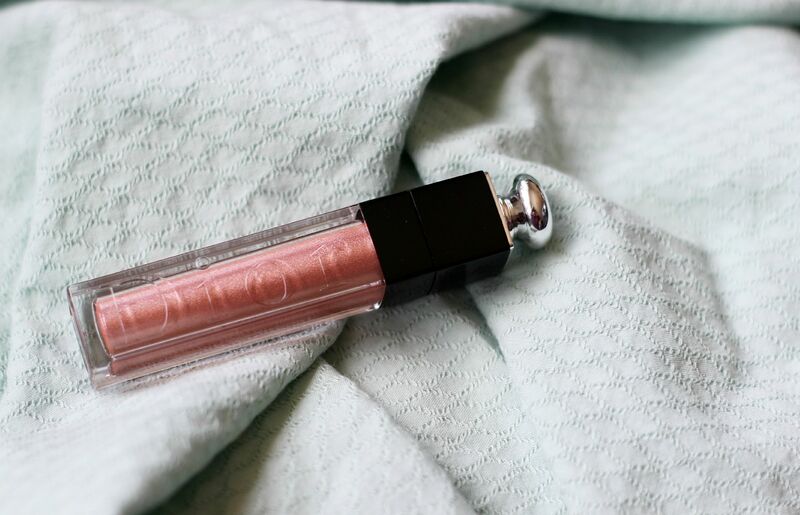 This is a liquid shadow – similar to the Giorgio Armani ones – that looks like lipgloss and comes with a little lip gloss style applicator. 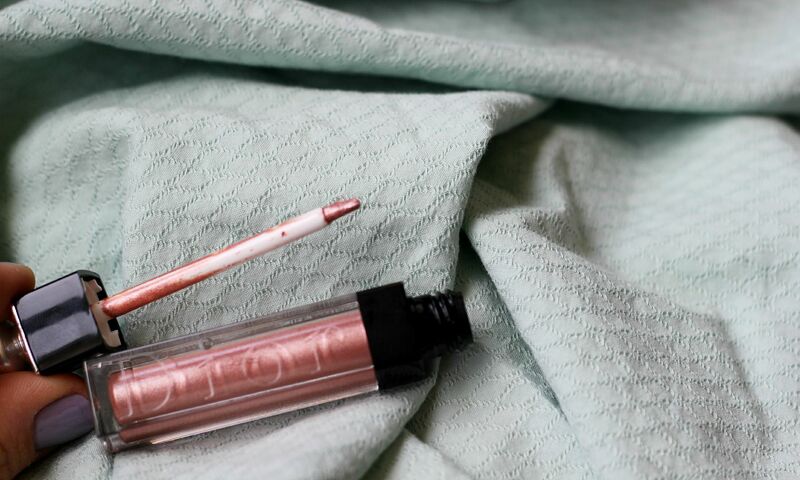 Um, don’t put this on your lips because metallic. Aurora is a very pretty pink, and reminds me of a slightly deeper and more sophisticated version of the Maybelline rose gold colour tattoo. Again, similar because you have about 5 seconds to work with this when you put it on before it locks down. It stays there. I like. I always layer everything over a primer, so would recommend if you have eyelids that are prone to creasing. Ew, sounds weird. Basically it’s a metallic pink that makes your eyes look bright that you paint all over your eyelid and then swan off into the sunset. 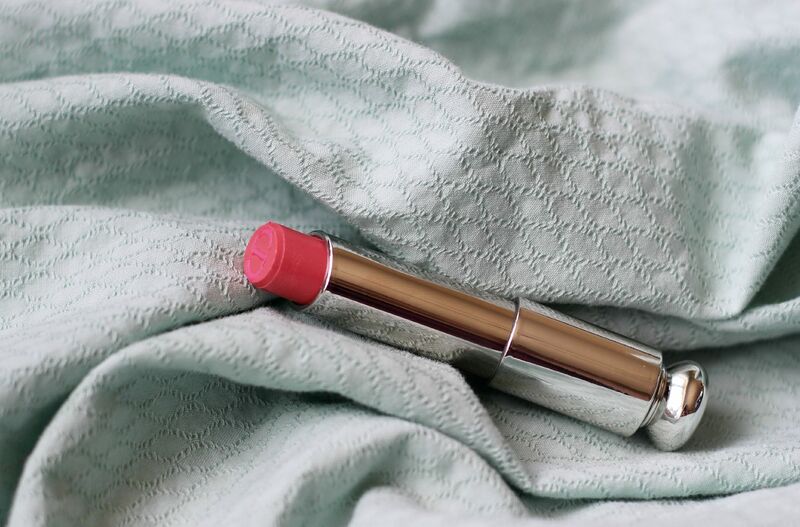 The other thing I picked up was the Dior Addict lipstick in Smile. I don’t even know how it happened. It’s so glossy and pink and unlike me. I was obviously have a funny turn, but ooh la la so pretty! Maybe I was swayed by the Jennifer Lawrence campaign, because who doesn’t want to look like her? Well, me, but she is pretty and I got suckered in. Smile seemed like a nice everyday pink and the formula is the one if you have dry lips. This is so balmy and comfortable, and has since emigrated to live in the depths of my handbag. 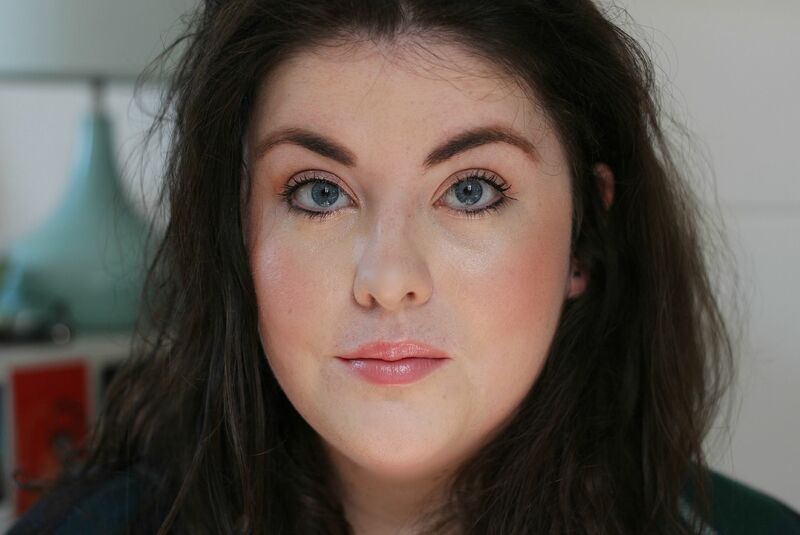 Perfect for no makeup makeup looks, or when you want to balance a heavier eye look. 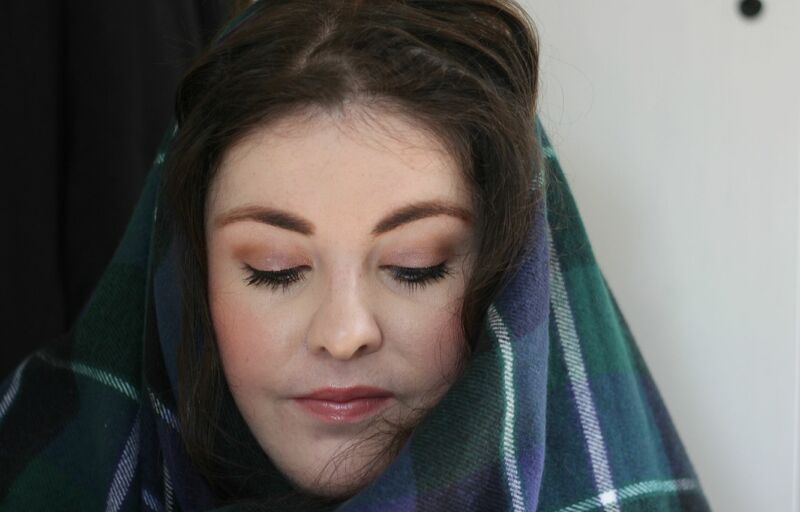 I took some photos yesterday, attempting to capture the sheen on the eye and the gloss on the lips. I failed on both accounts. My face was having an off day, clearly. Exhibit a – you can’t see the shadow very well, but you can see the gloss. I do look quite annoyed. Exhibit b – I had given up at this point – hello, parting, what happened? – and was hiding under a blanket scarf. Had to include it because I look like such an idiot it made me laugh, and it does show the colour of the eyeshadow pretty well. What do you think? What’s your favourite Dior product?